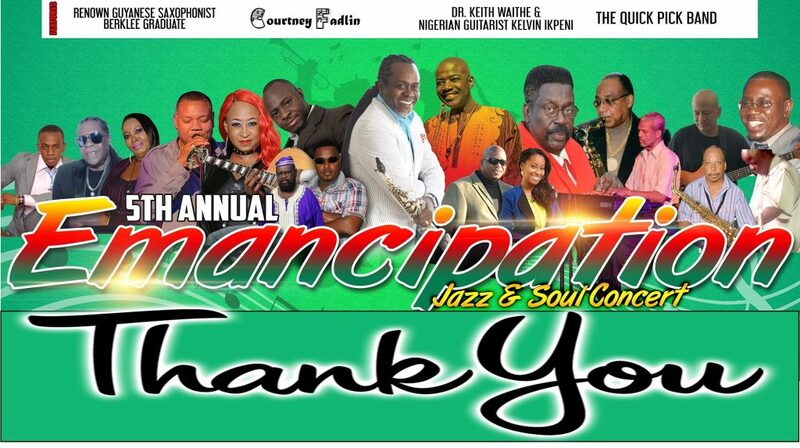 We at SSignal Productions would like to send out a big THANK YOU first and foremost to God Almighty for allowing the elements to favor us and to each and every one for the tremendous support received by you the public’s presence and by the sponsors of our 5th Annual Emancipation Jazz and Soul Concert 2017 and Music Camp. We are extremely proud that we were able to present a concert worthy of your rave reviews. BIG THANK YOUs GO OUT TO EVERYONE WHO ATTENDED!!! AND TO ALL WHO GAVE THEIR SUPPORT IN WHATEVER WAY POSSIBLE. Trevor John – Keyboards, Peter Callender – Bass, Michael Smith – Drums/Pan, The Cummings Brothers, Devon Roberts, Remo & Homer Bowen – The Fame Band Sound System Bonny Alves, Sean Bhola, Keith Campbell, Aubrey Fingers Roberts, Dawn Edwards, Melissa Vandeyar, EGO, Compton Magus Leacock, Eze Rockcliffe, Devon Denny, Charmaine Blackman, MC Basil Bradshaw WITH special mention of COURTNEY FADLIN, KELVIN NAJITE IKPENI, Dr. KEITH WAITHE and THE UNIVERSITY OF SOUTHERN CARIBBEAN SAXOPHONE QUARTET who came from across the waters and freely gave their time and talent. Our crew: – Jada Harry, Ted Johnson, Nikita Ferguson, Rayann Denny, Samantha Grant, Noel Harlequin and Mr. Carlton Pickering and GEM MAGAZINE for documenting this event in Video and Still Photography. 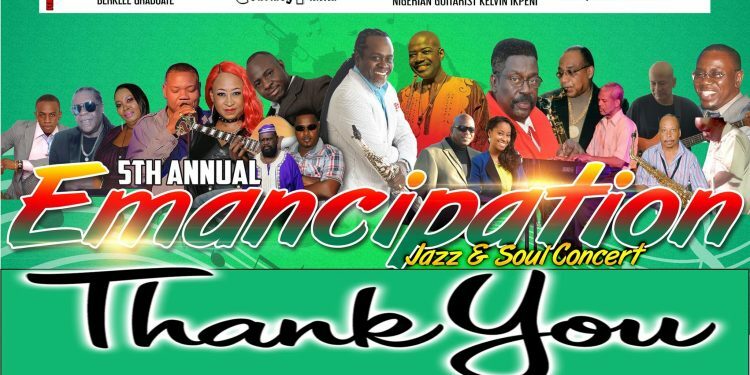 And all the participants of the 1st annual Courtney Fadlin Music Camp for making our 5th ANNUAL EMANCIPATION JAZZ & SOUL CONCERT AND MUSIC CAMP one big blast! The reviews are still coming in and they are overwhelming. THANK YOU ONCE AGAIN for your unwavering support from SSignal Productions.